Dance the night away to live music at Coco Bongo. Cruise to Isla Mujeres for a day of snorkeling and beach time. 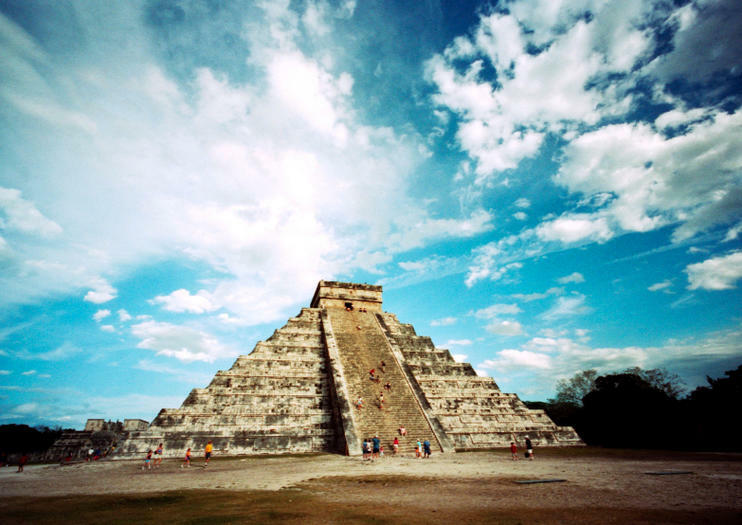 Check out ancient ruins on a day trip to Chichen Itza or Tulum. Hit the water on a pirate ship for a family-friendly show. Party into the New Year with tickets to a hot holiday event. Spot pink flamingos and crocodiles on a tour of Rio Lagartos. Explore Chichen Itza with a small group, entering through the Mayaland Resort to skip the long entry lines. On this full-day excursion, follow an expert guide through the Pyramid of Kukulcán and the rest of the UNESCO World Heritage Site for 2 hours. Enjoy a buffet lunch of regional and international dishes. Spend the rest of the day at the resort hotel swimming or strolling through the botanical gardens. Plus, you can relax at Viator's exclusive on-site hospitality suite. Soar high above the shimmering sea and towering hotels of Cancun during an exhilarating 30-minute Cancun Parasailing Adventure. See the resort’s most spectacular sights from a unique perspective and fly with a friend in a parasail that comfortably seats two passengers. Feel your adrenaline levels soar as you launch into the air and gaze at the sprawling city during your exciting experience. Take off from Cancun to see the Mayan ruins in Tulum, and spend time on Quinta Avenida in Playa del Carmen on this 10-hour tour, including round-trip transport. First, learn about the history of the ruins from your guide before exploring them on your own. Then, wander down the area in Playa del Carmen full of shops, boutiques, restaurants, and cafes, or just head down to the beach. Discover the unique landscape of Las Coloradas, the famous pink lakes, with a private boat tour at the National Park of Rio Lagartos. Ideal for bird watching (pink flamingos, eagles, herons...) and to encounter crocodiles!